In Special Olympics, the power and joy of sport, shifts focus to what our athletes CAN do, not what they can't. Attention to disabilities fades away. Instead, we see our athletes' talents and abilities -- and applaud them for all that they can do. And they are doing a lot -- from gymnastics to soccer to open-water swimming. 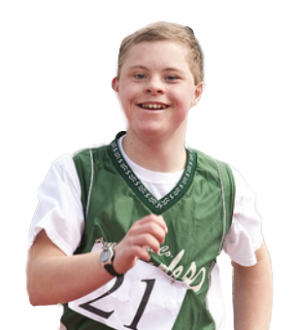 With our 30-plus Olympic-style sports, we offer adults and children with intellectual disabilities many ways to be involved in their communities, many ways to show who they really are.